The Streets of Woodfield Starbucks adds beer & wine; The Evenings stores launch new food. The Streets of Woodfield Starbucks (located near Chicago) has re-launched as a “Evenings” Starbucks location, meaning that it now offers beer and wine. 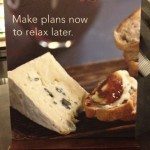 Also, as an “evenings” Starbucks store, the food menu includes additional ‘elevated’ offerings not available at a regular Starbucks. One of my regular readers dropped by this store, and sent some photos of this store now boasting all the “evening” offerings. 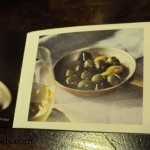 The store even has a little coupon booklet to help introduce customers to their new menu (and the other Evenings locations will be adding a coupon booklet too). 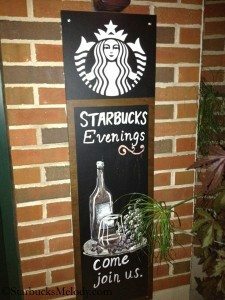 This store, as well as most other “Evenings” Starbucks stores, will be offering wine tastings on Friday evenings from 6 p.m. to 8 p.m., and most of the Evenings stores will have live music on Friday nights too. 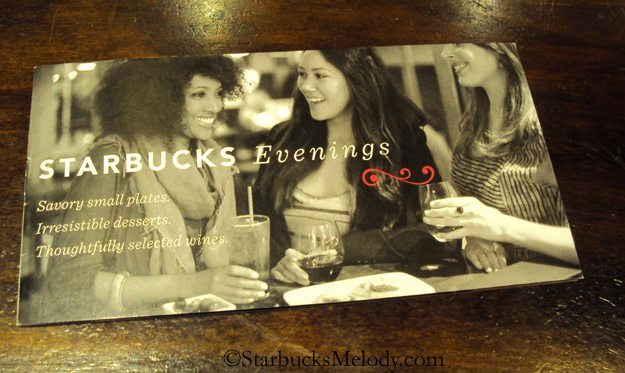 Call your local “Evenings” Starbucks to confirm what their Friday offerings will be. 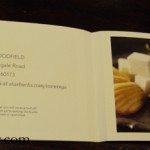 The Streets of Woodfield Starbucks launched these food offerings a little early – as is obvious, this blog post features photos taken at the Streets of Woodfield. 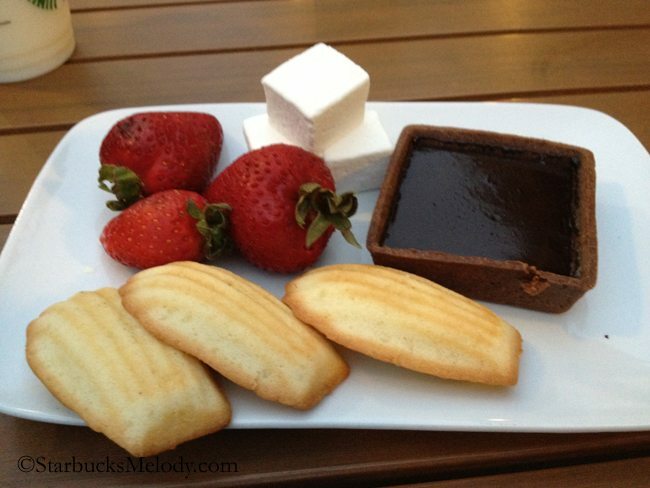 I think the big new food sampling kick off events are really planned for August 3, 2012, so be sure to drop by on Friday the 3rd. 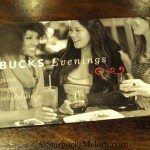 By the way, I’ve heard that there are a couple of Evenings Starbucks in Atlanta, as well as Southern California. Please let me know if there is an Evenings store near you. I don’t know all the locations. This next photo features one of the few design elements that I’m not sure that I like. 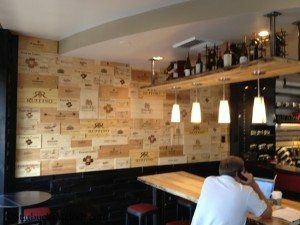 From the photo, it appears to be a wall design made from wine boxes. As I recall from my visit to this store one year ago, this area previously had a huge chalkboard with a great illustration of how a Clover coffee brewer works. I really had liked the chalkboard a lot. If I’m mistaken, and that area wasn’t the big chalkboard, someone please let me know! 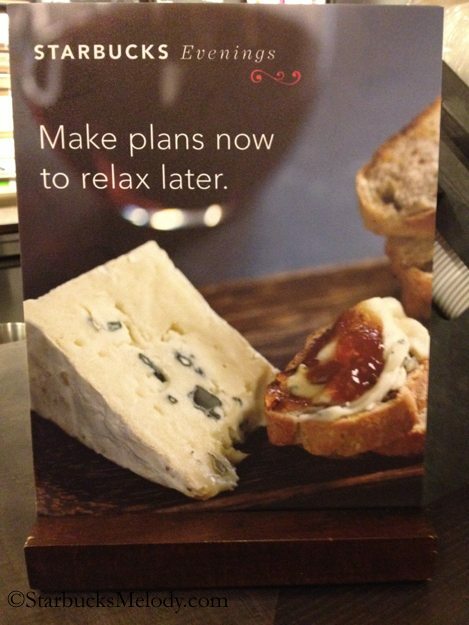 Hope you enjoyed your tour of the new food offerings for the Evenings Starbucks stores! 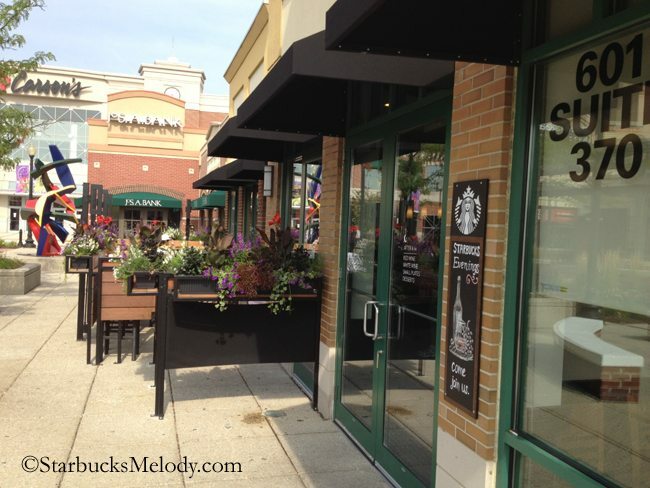 Thank you very much to the reader who sent all the many great photos of the Streets of Woodfield location. Wow! That sounds good. I like the idea of live music at a few select stores. It brings that feeling of a local community coffee shop. And if you don’t want to hear music than chances are there is another Starbucks close by to stop at. As someone that goes to my local SB in the evenings, I would love to see this concept. We have tried music but it does not totally work because of space restrictions. The new design of this store seems nice. I really like the new menu choices. Three stores in Atlanta will be launching beer and wine in the next few months. Roswell Marketplace, Howell Mill, and West Paces Ferry. More reasons for you come to visit ATL! 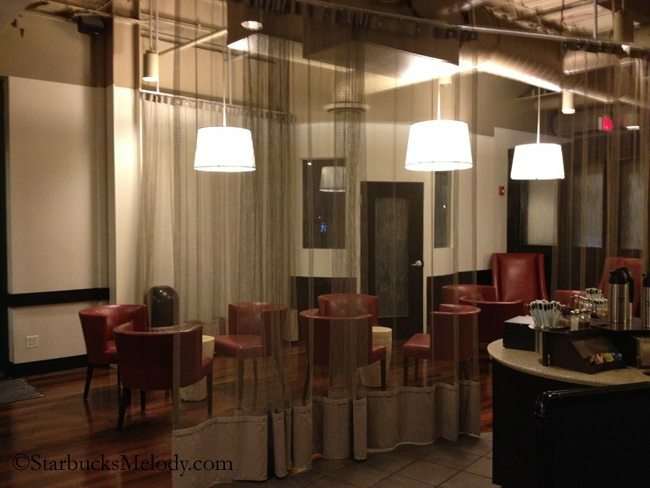 @Melody: that area beside the Clover previously (when you were here) had the whole “Clover” mechanical design…..I prop. sent you a pic of that before you came here? because you commented about the 2 Clovers. The large chalkboard area was across from the Clover side…..directly across, actually, on another wall. You have a pic of that (I think..or did) in the thread you did a while back on chalkboard art…they had a big current Siren drawn on it? You posted it in that thread. and then there’s the latest “evening” store in Burr Ridge, (nr Downer’s Grove in DuPage county) apparently….I haven’t been there yet. @denise – you’re right – that’s what was there. Interesting tidbit about the Burr Ridge store is the store does not (and does not plan to) have a Clover. They’re also starting their beer/wine sales at 2 p.m. instead of 4 p.m. They also are not staying open as late as Streets. A lot of that food sounds so good. I would love to try some of it. @Denise – I think we’re truly saying the same thing. The wall that is now wood wine boxes previously had chalk art of the mechanics of a Clover. I prefer that over the wine box design. @Becca – Trust me, I can’t wait to try all these treats too! They launched early in Chicago but I have to wait here in Seattle! @CD – I had assumed that stores with beer and wine would be Clover locations, and it seems really weird to have a beer and wine store with no Clover. It just seems like if you’re going to be an “elevated” Starbucks, your coffee should be “elevated” by offering Reserve coffees and the option of the Clover. 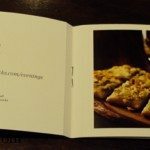 @Nathan – Hope you get to try these food items soon too! @Melody: that wall next to the Clovers was the mechanical drawing but it wasn’t chalk art. It was a permanent design. (obviously not so permanent! :) unless I’m crazy, which could be! I’d have to go back and look at pics but I’m sure it could not be erased…. as I’m thinking aloud here, it may have had the appearance of a chalk drawing, but wasn’t. ??? Cd can officially clarify. The old wall looked like chalk art, but was actually paint or a print. You can see pictures of it (the clover diagram) in the original post about this store (see first link n this article). @Cd: Thanx for your input re: the Clover diagram. I just logged on here to say the same thing. It LOOKED like a chalkboard but definitely was something else. That beautiful, elaborate diagram, I’m guessing, would’ve been messed up in no time if it were actually chalk. It sounded like you were talking about Terry & Republican with the two Clovers and the Siren on the wall but that was the tire wall like Brewery Blocks 🙂 Atlanta and Southern California are coming soon. 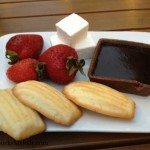 The chocolate fondue cup is indeed edible and delicious! 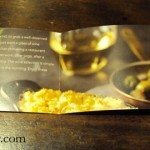 All of the new food is amazing and I think my current favorite is the Truffle Mac & Cheese!